Culver City is a “Sanctuary City” for all its residents and visitors, regardless of any individual’s background or immigration status. 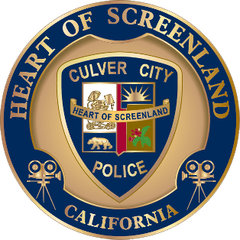 The Culver City Police Department prides itself on being a police agency that is reflective of the community we serve. In keeping with those values, the Culver City Police Department has published a new Immigration Policy as a part of our Department’s Policy Manual. The Police Department spent a considerable amount of time collaborating with our City Councilmembers, City Attorney’s Office, community groups, and outside legal counsel to develop and implement a policy that is consistent with state law and our City’s Sanctuary Resolution, as well as being a clear guideline for how our Police Department professionally interacts with all members of our community. To review the updated immigration policy, please click Immigration Policy. For any questions regarding the policy, please contact Lieutenant Manny Cid (310) 253-6120.